Massive arms look good and say a lot about a man’s strength and power. Every new guy starting out in the gym will very likely start out by asking their friends or trainer advice on how to get bigger arms. The bicep curl is undoubtedly the most popular weight training exercise, and if you ask any guy why he is doing it, he’ll almost always tell you that he wants bigger arms. It is hard to do weight training workouts without the temptation to do the bicep curl. But getting bigger arms is more than countless reps of bicep curls. In fact, there are a variety of both dead weight and body weight training exercises to help you build bigger arms. Pushups fit in any strength training workout and diamond push ups are a great variation. This compound exercise works the biceps, triceps, forearms, shoulders, chest and core. To get massive arms, you’ll need to do more than just build your biceps, so targeting the triceps are a must. The triceps take the bulk of the weight when performing diamond pushups, and being that the triceps are larger than the biceps, they have more potential to grow and thus bulk up your arms! Lie flat on the ground with your palms touching at your face level. They should form a diamond between them. Raise your body as a plank and lower it to make one push up rep. The narrower profile of the diamond push up places a greater strain on the triceps and chest muscles, so this exercise can be difficult for beginners or those with underdeveloped muscles in the arms and chest. This exercise relies on having the biceps take most of the strain because the weights have to travel at a wider angle, making it highly effective. 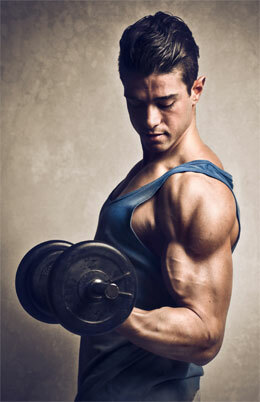 The concentration curl is a very good exercise for working out the forearms and for improving hand grip strength. The twisting movement in this exercise touches the forearms as well as the biceps. Swing up the dumbbell upwards while twisting such that at the top the palm is facing towards you. Lower the hand and repeat with the other. This is probably the most common weightlifting exercise for the biceps. It works the biceps big but also works the triceps very well. If you are wondering how to get bigger arms in a short time, the exercises we’ve explored here are a fantastic place to start. By performing these exercises regularly as part of a structured workout routine, you’ll have peaks like Arnold Schwarzenegger in his prime before you know it! That being said, you should be wary of injury because it is very easy and common to overdue your arms workout. 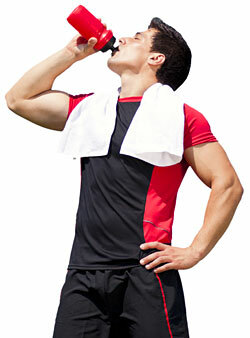 Overtraining is the real deal, and believe me, you don’t want to get stuck in an overtraining cycle. Overtraining can cause strain and injury and will likely disrupt your gains as you’ll need to take a break from the gym to allow your body to recover. Remember to ask your trainer or a very experienced friend to help you structure your workouts if you’re unsure of yourself, especially if you’re a gym newbie. With the right approach and time you’ll build the pair of arms you’ve always dreamed of.